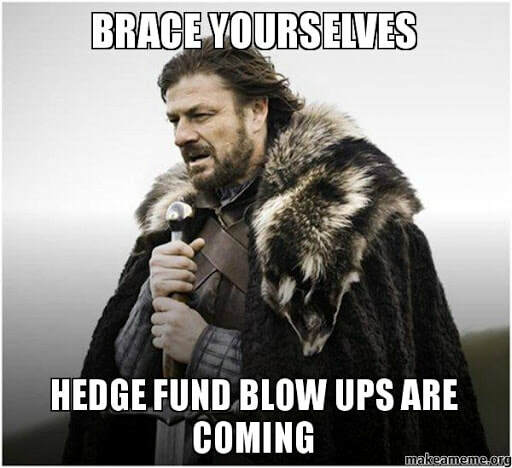 The newest Eurekahedge report says that hedge funds globally are experiencing their worst year since 2008. They are down -2.15% for 2018 to date and in the first 10 months of 2008 they were down a full 9.55%. The news is especially bad for those hedge funds that have mandates for the emerging markets. They are down 4.57% YTD. Asian managers are down 8.02%. Asia ex-Japan was the biggest loser of October in absolute terms, down 2.41%. That comes from the combination of performance losses of $2.5 billion and net redemptions of $1.8 billion. On November 21 2018, Macquarie Group announced to close its 13-year-old Macquarie Asian Alpha Fund. The fund posted losses for each of the past three years. Assets plummeted to $133 million in September after peaking at about $2 billion in 2015. Once one of Asia’s largest and most successful funds of its type, Macquarie Asian Alpha Fund ran up against tougher conditions for quant market-neutral equity funds in recent years. Macquarie will retain similar hedge funds focused on Europe and the Americas, as the firm believes those markets offer better prospects. This year, quant funds have struggled as their value investments have failed to deliver returns. Bets on growth and momentum, such as wagers on high-flying tech stocks, haven’t generated enough to offset the losses. Goldman Sachs shut down two hedge funds run by senior executives based in Asia. The funds, which together manage about $1.4 billion in assets, were run by Goldman Sachs partners Ryan Thall and Hideki Kinuhata. The two hedge funds operated under the Goldman Sachs Investment Partners division, which has about $4 billion in assets, the bulk of which are private equity or venture capital types of investments. Hong Kong-based Thall and Tokyo-based Kinuhata made long-short equity bets in Asia and globally. Part of the reason for the closures is fickle demand for such hedge fund-like products at a time when the industry has struggled to outperform benchmarks and investors are seeking alternative options to generate outsized returns. 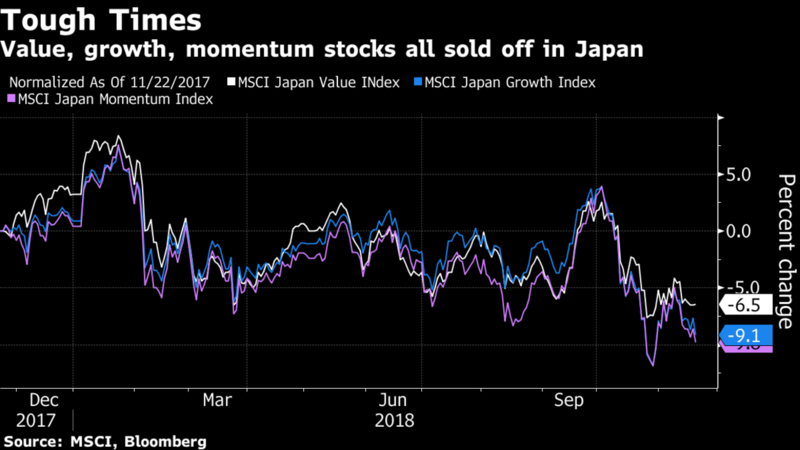 One hedge fund in Asia is making the most of volatile markets, extending gains this year to 24 percent as stocks in many geographies tumble. True Partner Fund returned 4.8 percent last month. Driving gains were trades that bet on the actual volatility of South Korea’s Kospi Index jumping more, relative to the option-implied volatility, than the volatility experienced by Taiwan’s Taiex, Hong Kong’s Hang Seng Index and Japan’s Nikkei 225 Stock Average. True Partner, which manages around $541 million, was started by a group of former traders from Dutch options market maker Saen Options. According to its investor newsletters, the fund has made money in all but two years since its inception in mid-2011. With the October gain, it’s headed for its best year ever. No More Crazy Rich (Cold) Asians? Hedge funds globally registered their biggest monthly drop in seven years but waning Chinese demand for luxury goods helped one Asian firm beat the odds. Optimas Capital profited on bets that European luxury goods companies would suffer as wealthy Chinese tightened their belts. The bearish bets amounted to about 10 percent of long and short investments in its $350 million Optimas Global Alpha Fund last month. Trade tensions and the depreciation of the yuan are hitting Chinese consumer confidence, while weakness in the nation’s stock and property markets may constrain consumption by the wealthiest individuals. The Optimas fund, which began targeting European luxury firms in August, cut its bearish bets substantially this month as their share prices dropped. During October, the wagers accounted for 30 percent of the fund’s profits from trades. The fund gained almost 16 percent this year. That compares with the Eurekahedge Asia Long-Short Equities Hedge Fund Index retreating 6 percent in the first nine months. Numbers for October indicated a year-to-date decline of 9.1 percent, on track for being one of the worst performances since 2008.